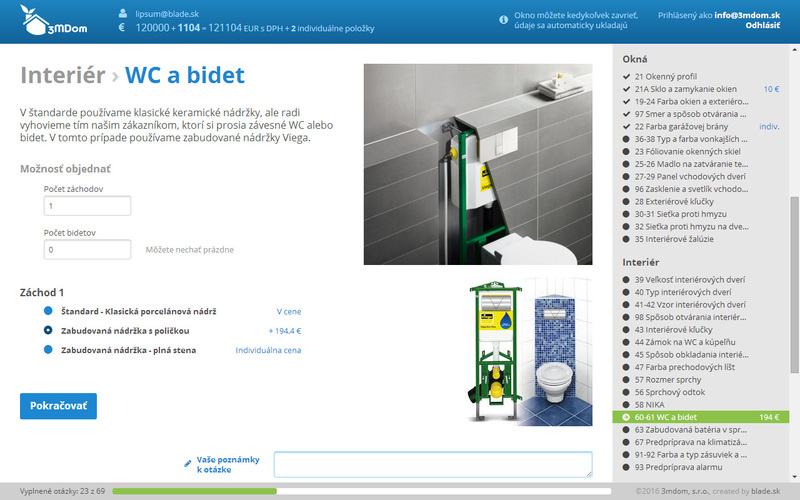 House configurator for a Slovak/Hungarian company 3MDom. 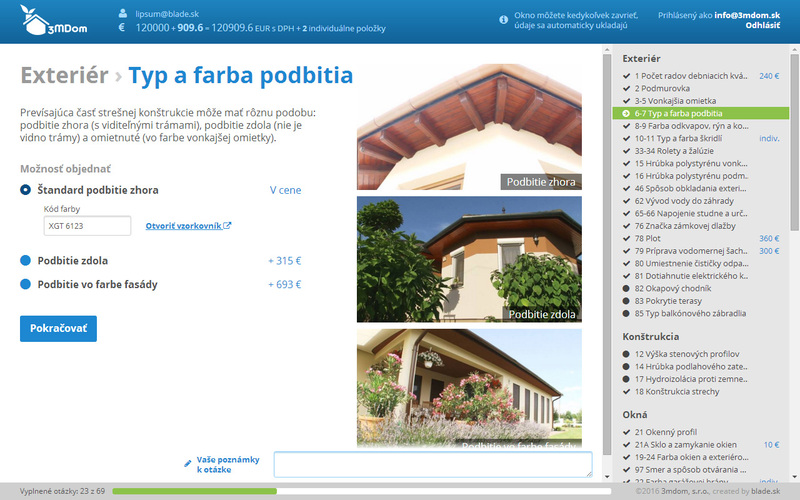 Allows you to customize extras for a house. Employs fairly extensive condition checking to allow only possible combinations with a correct price. Integration with Excel sheets to import prices per house and export final configuration report for workers.